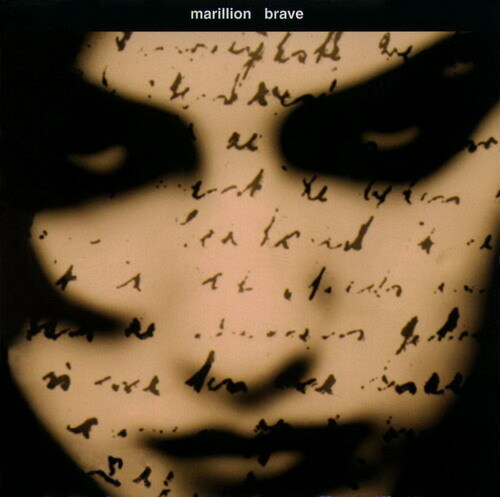 Marillion strived to create an overly atmospheric album in Brave, creating that atmosphere by recording every little nook and cranny of the castle in France in which it was recorded at (Steve Hogarth mentions that with this remastered version you should be able to hear the ghosts). Anyway, after the overly commercial sounding Holidays in Eden, the band wanted to take a more progressive direction with the next album. Spanning over a 15 month period, the writing and recording of this album was creative and very ethereal in approach. The album itself, a loose concept about a runaway girl who commits suicide, is as I said a very ethereal and atmospheric album, with nice touches of organ and swells of guitar. The rockier sections, though, really rock, Rothery showing that he is no slouch on the guitar almost 100% of the time. Mark Kelly plays a variety of keyboards, from organ to touching pianos to anxious synths, regardless of what he plays he's great at it. The rhythm unit, consisting of Pete Trewavas and Ian Moseley, are tight, cohesive, and they keep perfect rhythm while the other three do their thing. The album goes through many different moods, from melancholy (Bridge) to triumph (Made Again), but regardless of the atmosphere the band is spot on with the emotions. The lyrics by Hogarth and outside writer John Helmer describe these emotions brilliantly and Hogarth expresses them magnificently with emotional performances on every song. It certainly sounds like he put his heart and soul on this record. My personal favorite piece on the album is The Great Escape, which begins sadly with only piano and Hogarth, then it reaches a peak at the 1:30 mark with The Last of You, possibly the most chilling section of the album. Hogarth really shines here with his dramatic vocal (he seriously put all of his effort forth on this one). Rothery's riffing is impeccable juxtaposed against Kelly's excellent keyboards and the precision of the rhythm unit. Overall, this album is the masterpiece from the Hogarth era. It's hard to top the messages that are conveyed here. In my opinion, only Marbles really rivals this album in terms of the Hogarth era in quality and creativity in compositions. Fans of Marillion, or music in general, do yourself a favor and get this album, you won't be disappointed. 5/5.